CEE launches the first Professional Manufacturing Training for Operators. 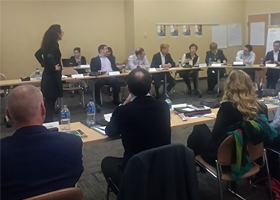 Build the Competencies is how the Operations and the HR Teams of CEE have named the first Professional Manufacturing Training for Operators in the Group. It has been structured starting from the concept of the Prysmian Group Manufacturing Academy. It has the goal to train the Shift Leaders and the high-performing Operators of the Region on some key theoretical and practical contents that can also help them to progress in their career: Lean Manufacturing, Quality Systems and Industrial Efficiency. The training is delivered in local languages and all the 11 plants in Germany, Hungary, Romania, Czech Republic and Slovakia are involved. Apart from being a professional training initiative, this project plays a key role for the engagement of the Shift Leaders and the Operators in the CEE plants, that have the potential to become real business enablers. Moreover, this allows to keep and exploit the regional Manufacturing knowhow and expertise, by also creating a Regional Manufacturing Network. The contents are entrusted to some of the best local Managers and Employees. Some of them are Regional Content Developers and have the responsibility to assess the training needs at regional level and to prepare the teaching materials. The others are playing locally and have the important task to translate these contents, adapt them to their specific contexts and presenting them to the participants in an attractive and friendly way. 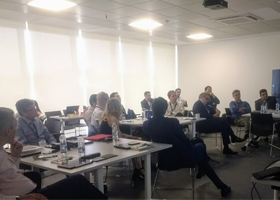 As stated by Carlos Fernandez, Industrial and Quality Director of CEE, “this group of CEE Experts is highly committed and they are contributing to this initiative in an incredibly valuable way. We have very similar machines and use the same materials as our competitors, so the difference comes from the people: Operators, shift leaders and experts, sharing knowledge and building manufacturing competences. This is the Prysmian brand”. The three technical chapters – Lean Manufacturing, Quality Systems and Industrial Efficiency – will be delivered in three different Modules and also some training pills on soft skills will be included and provided by local external agencies: professional responsibility, integrity, teamwork, people management, planning and time management. The first Module on Lean Manufacturing has already taken place in Schwerin (Germany), Kistelek (Hungary), Slatina (Romania), Velke Mezirici (Czech Republic) and Presov (Slovakia). By the end of September, all the three Modules will be delivered and, after that, the official closure will be at the Group Manufacturing Academy in Mudanya. “We have done a lot in Prysmian in terms of training in the latest 5 years, but delivering a Manufacturing Training for Operators was missing and has been exciting: you come back to the step 1 of our pipeline: people on machines! Without their knowledge we wouldn’t be Prysmian! Even more exciting having to deal with different languages and being able to customize the contents to the different cultures. We are really glad to be the first Region with a project like this” ends Peter Durante, VP HR and Organization CEE.